Here is another new hand coiled figure by Janice Ortiz. 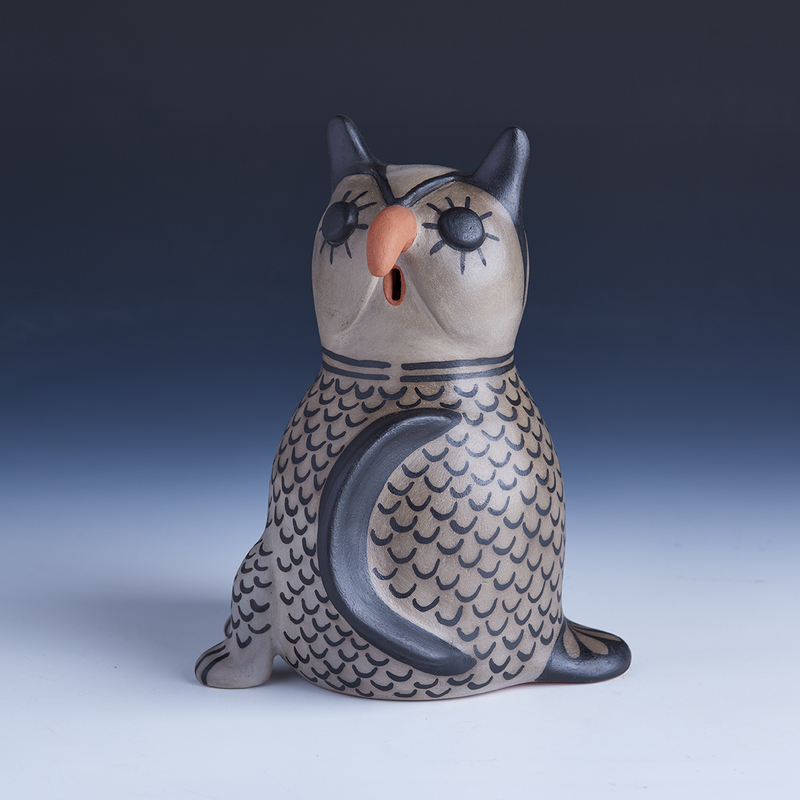 So classic in the history of Cochiti figurative work, she has hand formed a beautiful owl. This form is so appealing, and totally traditional in its execution. The owl is often known as the “night watchmen”. They are known for their night hunting, and protection for the crops. This would be a marvelous addition to anybody’s collection! Janice comes from a distinguished Cochiti pottery family that includes her mother, Seferina Ortiz, and her brother, Virgil Ortiz. She is well known for her figurative work. 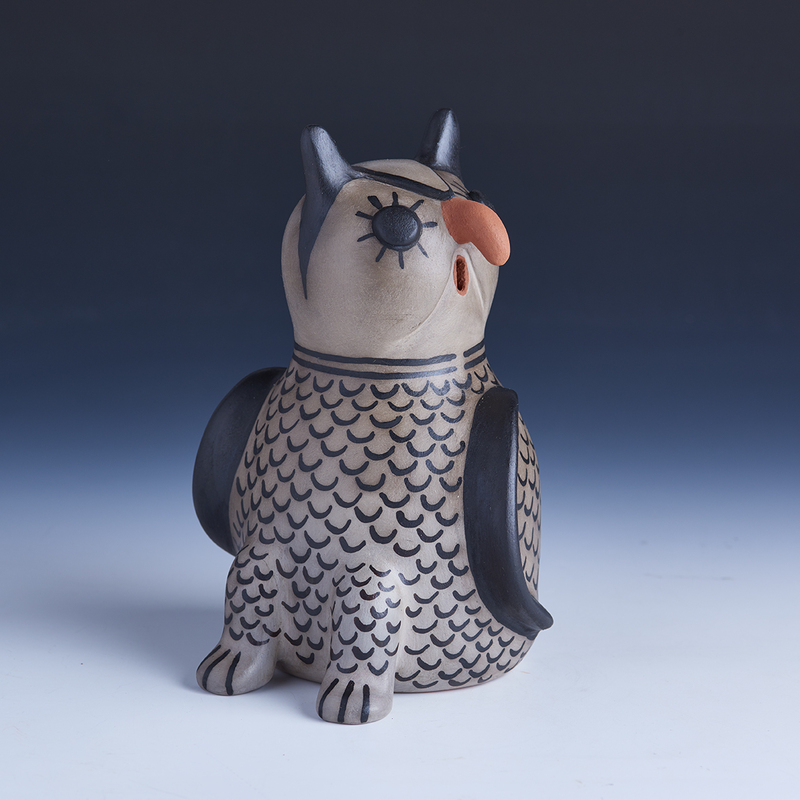 The making of figurative pottery at Cochiti has a long history. 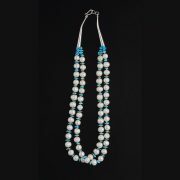 It reached its prime in the last quarter of the 19th century and the first quarter of the 20th century. Then, in the 1970s there was a strong revival with the production of storytellers. 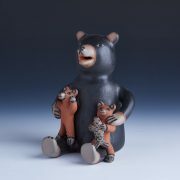 Janice brings a wonderful whimsical quality to her diverse collection of figures and animals. Janice uses local clay, hand coils all her work, and pit fires in the classic Cochiti way. She paints with wild spinach, for the black, and uses that over the traditional Cochiti cream colored slip. “My name is M. Janice Ortiz. I am the second oldest of six children. I am a 6th generation of Cochiti potters. I have always been around clay since l was little and was always encouraged to get my hands in it. My great- Grandmother, Grandmother, and Mother would be making pottery and l’d watch them and they would always say, “come make something”. I never thought I’d become a full-time potter. During Jr. high l got into sports and decided l didn’t want to make pottery anymore. Sports became my focus all throughout Jr. high, high school and college. I earned my bachelor’s degree in education from Fort Lewis College in Durango, CO in 1978. I worked in education for a total of 22 years. I had three children, 2 daughters and a son and l became a single mom when my son was 10 months old, so l needed to get back to making pottery to make ends meet. Six years later, I met my current husband and decided 2 years afterwards, that l would try becoming my “own boss”, and l have been since 1999.